The shooting for Puri Jagannadh and Ram’s iSmart Shankar was underway in several picturesque locales of Goa for the last one month. This crucial schedule was raptor yesterday. 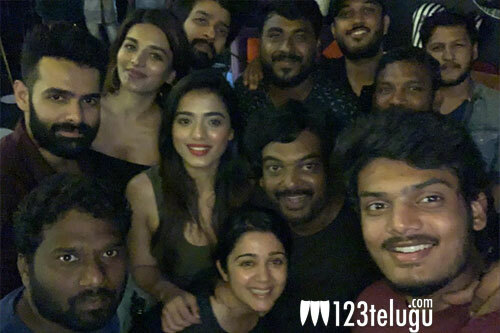 Last night, iSmart Shankar’s team celebrated the schedule wrap by throwing a lavish party. Apart from Ram, the film’s leading ladies Nabha Natesh and Nidhhi Agerwal took part in the Goa schedule. More than 60 percent of the film’s shoot has been completed. Puri Jagannadh is bankrolling the project along with actress Charmme. The film is slated for release in May.